We are in exciting space of Narrow fabric Manufacturing. 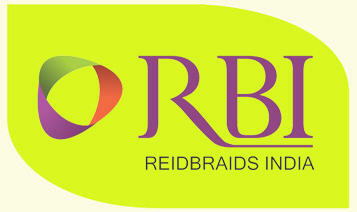 Reid Braids India well known as RBI has a vast range of products in Braiding, Knitting, Woven and Jacquards. RBI was a technology acquisition of companies from Ireland and Scotland, with modern state of the art machines; we surely have the tools to create best quality products for your requirements.